WasThis™ was created from a client need. First an experiment, then a critically fun, light stepping, quick momentum technology company. Consisting of myself, the very talented and creative Beau Frusetta and Jeff Dupont, and our amazing innovative chief designer John Fraskos. WasThis™ is a widget to embed on your website anywhere and as many times (even per page) that you want. Pose a question to your audience and get a yes or no answer with a single click. Give your audience a chance to let you know, in a way they'll actually engage: simply. Create a question or phrase and a set of buttons to place around your content. Visitors provide easy answers with a simple click. No pop-ups or logins required! 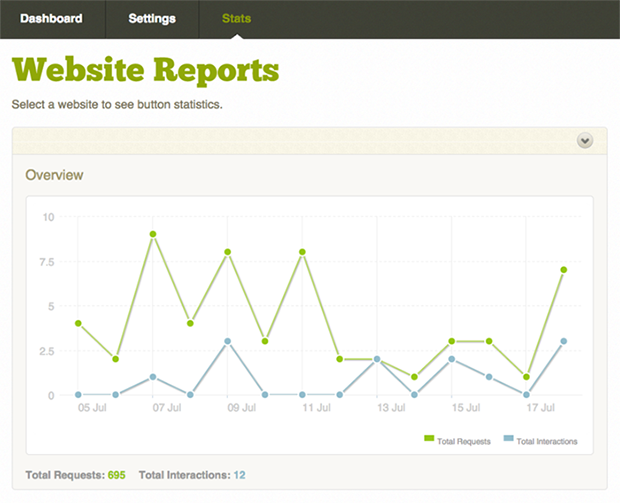 Get feedback stats for every response your users give. Then learn why, not just what. WasThis™ serves 1,000,000's of requests and interactions per day. We use Redis for insanely fast data collection via it's high performance key-value cache, and we use MongoDB to store the cached data using MapReduce and render it using cool charting libraries.